An original blend of folk, chant, and classically-influenced contemplative songs to inspire and awaken us to the truth of who we are. 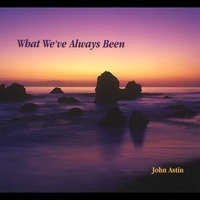 With his newest release, John continues his tradition of evocative songs of contemplation and meditative inquiry into the nature of who and what we are, reminding us that we have never truly been separate from the Source of life for there has only ever been that Source, the Great Perfection that moves and breathes as all things. This is what we have always been.